It’s a very homey, cozy place. I love having my own bedroom and bathroom. It’s also very close to campus and downtown. There’s grocery stores and restaurants around you too. Really loved living here. Great location, very close to walmart, weis and giants. About 10 minutes away from campus. The office responds pretty quickly to maintenance requests in my experience. Thus far my experience has been one of dealing with 1 sleazy representative who seems at once to be both bored and offended that I had activities that I needed to complete, & Maintenance that is slow and lazy. The neighborhood gets really noisy sometimes with people shouting or laughing in their apartment or outside. I like the fact that the rent and electricity bills here are reasonable, unlike other expensive apartments. The neighborhood needs more lights. After it snows, the sidewalks to the inbound CATA bus stop is never properly cleaned and is very iced up/slippery. The bus routes for this location are good. It is pretty easy to go to different grocery stores using the routes on our bus pass. The free food events are only good for the residents in Northbrook. It doesn't really help the residents in other locations since it is really inconvenient to go to the office location over there. good experience, everything is decent. Have been living here for almost two years. Love this place. It's close to Walmart and everything you need. The room's insulation is too bad. When my roommate walks upstairs or walks in her room, I can feel the vibration with my chair. We could not turn of the heat, therefore, the cost of our electric bill is really high. Really nice apartment with a lot of space and good utilities for the price. Maintenance can be pretty slow though. It’s a pretty close knit community too. Wonderful staff, great neighborhood, and relatively affordable for the area. As a 6 year resident, I’ve seen Copper Beech make a lot of great changes in updating the property to make the place look even better. Copper beech is pretty good in terms of things it offers. The maintenance team is beyond great. The environment is pretty quiet too. It's a good deal overall. Very convenient location.Close to walmart, weis, giant and CVS. Great value for the whole townhouse. Individual bathroom and big living room area. Apartment has good bones, but could use some updating compared to other properties in the area. For Park Forest Village it is one of the nicest available properties, however the grand scheme of things there are other complexes that seemed to have been updated in the past five years. Overall, the leasing office attempts to make a good living environment, however neighbors don’t interact with each other much. Could be a pro or con depending upon who you talk to. The community is really quite and homey. We have enough public area and private area. The furniture is really new. Staffs are friendly. Just have a few bugs during summer. Very nice neighborhood to stay in. It has only been about two weeks since I got here but I'm already liking this place. I wish I knew when the maintenance comes around beforehand but they did help our sink to work again! I really enjoy the community events that the leasing office holds weekly! 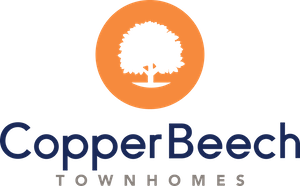 It's a great chance to know some of the people that work at Copper Beech and also a chance to meet some neighbors. I like having my own bedroom and bathroom, but their policy on parking is too strict. It makes inviting friends to hang out really annoying. Copper Beach is good, but the service always delays. When I acquired a maintenance, it took me weeks to get a finish. I know they may be busy, but they should recruit more staff. So far, I like this place. The bedroom is fine, the kitchen is good. However, it's quite noisy at night. The neighbor or someone who live in front of the door will play until midnight. It really bothers me. The half point is deducted because of the poor sound insulation. Overall, it is pretty good. I definitely will recommend my friends to live here.